Are you an individual or part of a company that is looking for the best PCV training Hampshire has to offer? If so, look no further than Wayside Transport, a company with more than 20 years of experience in the industry. For a friendly, down to earth approach and proven training methods, please call us today on 01202 873 911. If you are looking to invest in your career or train your staff, our PCV training in Hampshire can help. At Wayside Transport, we have been offering Full Bus and Minibus training for individuals and companies alike. Whether you want to drive a bus or minibus, or you need to remove a 101 restriction from your existing licence, our professional and experienced team can help. When you complete our PCV training, Hampshire clients can benefit by widening their career horizons and flexibility as a driver. With this licence, you can work as a professional driver, and we can help you take the first steps to realising your career ambitions. We don’t just help you get your licence, we provide a solid foundation for your driving career. Our aim at Wayside Transport is to equip you with the skills for driving a large commercial vehicle safely and professionally. For a lifetime of competent driving, our PCV training in Hampshire can’t be beaten. Training is easy with our down to earth approach, and we can supply you with the forms and advice to help you obtain your provisional licence. Medical report form D4 and driving licence application form D2. Send your forms to the DVLA and receive your provisional licence. Book, attend, and pass your theory, hazard perception, and CPC theory. Take an assessment with us and we’ll advise on the level of training to help you reach the standard to pass. Start your PCV training Hampshire course, then take your test. At Wayside Transport, we don’t just provide the best PCV training Hampshire has to offer. We are specialists in providing a wide range of training courses for various licences, for both organisations and individuals. Regardless of what training you require, we will deliver outstanding courses. 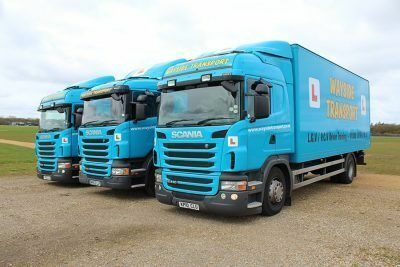 Our training courses include LGV training, CPC training, LGV instructor training, car and trailer training, ambulance training, NRI instructor qualification training, and many more. When you are looking at courses for PCV training in Hampshire, you want to know you are choosing the best course available. Our friendly, down to earth approach, coupled with proven training methods and expert advice make Wayside Transport the obvious choice. We deliver the essential know-how and give you practical experience. When it comes to your test after you have completed our PCV training, Hampshire clients can take this at the Poole, Southampton or local test centre. We cover the South and South West, with clients coming to us from Devon and Wiltshire in addition to Dorset and Hampshire. All of our Hampshire PCV training instructors are fully qualified, with all the relevant certificates, and are able to train you to the highest standards. They will equip you with all the skills you need to become a well prepared, highly skilled, and responsible driver. To find out more about the best PCV training Hampshire has to offer, or any other training courses we provide, please contact us on 01202 873 911. Alternatively, you can fill in the form on our website and a member of the Wayside Transport team will respond as soon as possible.